Analysis: Putin’s increasing influence in the Olympic world and the awarding of the FIFA World Cup to Russia and Qatar make it clear for everybody: Everything is for sale in the world of sport – and the worst is to be expected. Recently, the Russian media speculated on Prime Minister Vladimir Putin’s jadedness from holding office. Will he continue to dominate Russia and become president again in the coming year? Or will he yield the second presidential term to his partner Dmitry Medvedev? Is the 58-year-old Putin tired of governing? What else could tempt him? 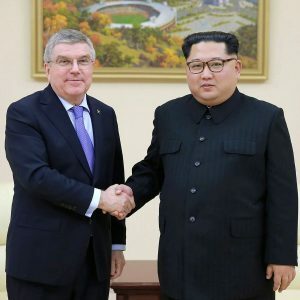 The journalistic astrologers in the Kremlin brought two possibilities into play: The job as Secretary-General of the United Nations (UN) and as the President of the International Olympic Committee (IOC). Normally, such speculations would only trigger a pitying smile. IOC experts would argue calmly: To become IOC President Putin would have to become a member of the IOC first. That could, theoretically, happen at the 2012 Session in London. And then? In 2013, a new IOC President will be elected as successor of Jacques Rogge, who retires after his cycle. As said, normally Russian power plays would trigger a chuckle. In the case of Putin, however, nobody is laughing. All smiles are fixed. Fear rules. 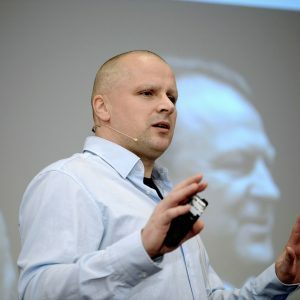 Many believe that Vladimir Putin is already the most powerful man in the Olympic world – one who more or less along the way had his Romanian Judo buddy Marius Vizer elected as President of the International Judo Federation. Not to forget, of course, how Putin virtually dragged IOC chief Rogge around the circus by the nose ring at the IOC Session in Guatemala in July 2007. Putin flew in with a large entourage, met dozens of IOC Members and made all kinds of promises, most likely paid for by the oligarchs or the Gazprom Group; he bent the truth beyond recognition – and flew home as the Olympic champion. Sochi, his summer residence on the Black Sea coast, was awarded the 2014 Winter Olympic Games. Since then, Putin has made a deal with Bernie Ecclestone that will bring a Formula One Grand Prix race to Sochi. The Universiade (World Student Games), a little appetiser, will be held in 2013 in Kazan. The same year Moscow will organise the World Championships in Athletics. Just recently Putin organized the 2011 World Figure Skating Championships in Moscow, within a few weeks after the event was taken away from Tokyo because of the tragic earthquake. 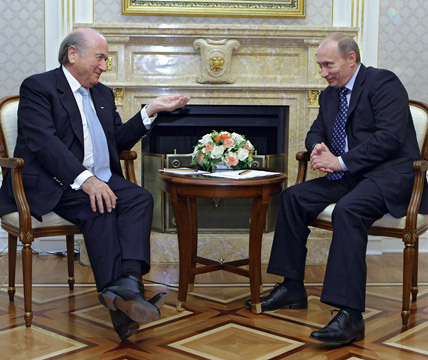 But the biggest coup ’sports buddy’ Putin had was on 2 December 2010, in Zurich, when the Executive Committee of the world’s football federation (FIFA) awarded the World Cup in 2018 to Russia under scandalous circumstances – of course, matches will also be played in Sochi. Putin created some confusion in the bidding process when he decided not to turn up in front of the FIFA Executive Committee at the beginning of December. From a distance, as an oracle, he declared that he did not want to put untimely pressure on the sport administrators. What a trick! In the weeks before, he had already met more than half of FIFA’s board members. Vyacheslav Koloskov, a long-time member of the FIFA Executive Committee, announced in Moscow long before 2 December that the decision was made – in favour of Russia, of course. So it eventuated. And while FIFA President Joseph Blatter in Zurich announced Russia and Qatar (2022) as winners, Putin was already sitting on a plane to Switzerland. In the evening the stage was his alone. In front of the assembled world press, he buoyantly took the steps to the podium and gave a casual greeting in Swiss-German. Putin took the journalists’ questions in barely one hour. He demonstrated his power; he celebrated his success. On all-sports projects in Russia, of which many swallow up several dozen billion Euros from public funds, especially the big wigs of Putin’s power structure and those oligarchs, who subordinate to his will, are going to benefit. One of these oligarchs, Roman Abramovich, owner of FC Chelsea, postured in Zurich at friendly photo sessions, not only with Putin. „I expect Mr Abramovich to invest in this project,“ Putin pontificated. The Russians laughed loudly. The oligarchs’ so-called investments will be compensated by the state through all sorts of privileges and benefits – so there is a guaranteed profit at the bottom line. This is the case for Abramovich and the World Cup, just as it is for the billionaire Oleg Deripaska, who not only owns a castle-like property in Sochi, but who is also going to build the port and run other projects, or the Gazprom group, which is responsible for most of the Olympic alpine routes in the North Caucasus. They all knew. Not only Al Jazeera, not only Chernyshenko. Even Putin. Hamad bin Khalifa Al-Thani, the Emir of Qatar, to whom Blatter has been obligated for one and a half decades, was already sure of victory and timely flown in. On 2 December 2010, when Russia and Qatar became World Cup hosts, a special chapter was written in sports history. Not so much because FIFA thereby opened up new markets, but mainly because these decisions were surrounded by incredible corruption rumours. 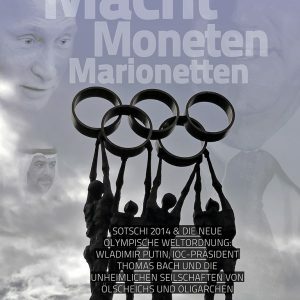 When those 140 million Swiss francs, which were once paid by the sports marketing agency ISL/ISMM to high IOC and FIFA officials, was the largest fraud scheme of Olympic sports so far – a scheme which ran brilliantly for decades and during which those responsible, bribe donors and bribe recipients, were not criminally prosecuted –, this FIFA World Cup decision could be the largest single case of corruption in sports history. „Corruption is the abuse of entrusted power for private gain,“ goes the definition of the non-governmental organisation Transparency International. It is this corruption concept that is seen here: Russia, not only the Gazprom Group, and Qatar have invested several hundred million Euros in the bidding campaigns. There is only a small probability that evidence showing how Russia and Qatar have bought votes can ever be presented. Russia and Qatar are not exactly model democracies – they guarantee confidentiality. The show in Zurich reached its absurd climax when Putin, of all people, criticized English media’s corruption revelations as „unacceptable“. But the English bidders were not the only ones who angrily claimed that they had been cheated. „Do you believe that?“ someone wanted to know from Putin. He grinned. „No.“ One word was enough. The brutality with which the bidding offers from Russia and Qatar were carried through has shocked even savvy business men in this industry, and this highlights the tectonic shifts of power in world sport for every observer: Western Europe and North America, once the dominant regions of sports policy, are continuing to lose influence. The new power holders are Russian oligarchs and ‘super democrats’ like Putin, Chinese Communist Party bosses, Arab oil sheikhs and various other potentates, for example, of the former Central Asian Soviet republics, where many highly decorated sports administrators work as drug barons and close companions of the dictators – like Gafour Rakhimov in Uzbekistan, Vice President of the International Amateur Boxing Association, AIBA, Vice President of Olympic Council of Asia (OCA) and, according to FBI files, head of the drug cartel in Central Asia. At the moment there is not much talk in the public of the Chinese Communist Party bigwigs who, back in 2008, successfully organised the Olympic propaganda games in Beijing, but insiders expect attacks on the power base sooner rather than later – maybe even the candidacy of the Chinese-born Ng Ser Miang (Singapore) for the IOC presidency as early as the Session in Buenos Aires in 2013. One thing is clear: These powers have untold economic resources which they can deploy as targeted. Sport offers many ways to gain prestige and influence, to launder money and, sometimes even, like the Emirate of Qatar, with military precision, to reconstruct an entire country as an international hub and a new Olympic centre. Right now the Qataris are aiming to acquire the 2017 World Championships in Athletics. 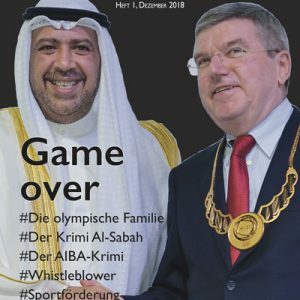 Doha instead of Lausanne as the „Capitale Olympique“ – that is the agenda. Let us have a look at the list of the major upcoming events. Admittedly, 2012 will see the Olympic Summer Games in London, but not much more remains for the old Great Powers in the next few years. In 2012 the European Football Championship will be in Poland and Ukraine; in 2014 the Olympic Winter Games in Sochi and the football World Cup in Brazil; in 2016 the Summer Games in Rio de Janeiro; in 2018 the football World Cup in Russia and surely the Olympic Winter Games in Pyeongchang (South Korea), the latter is the likely outcome when the IOC takes its decision in Durban on 6 July. In 2020 the Summer Games could be held in Turkey (Istanbul) or could, for the first time, be held in Africa. In 2022 the World Cup in Qatar. In 2026, the Chinese will go for the World Cup by all means. In 2030, for the centennial celebration, the World Cup will very likely be awarded to Argentina and Uruguay. In 2034, it could work out with the World Cup – in two and a half decades. The Americans are, after George W. Bush’s scorched earth policy, two disastrous Olympic defeats (New York 2012, Chicago 2016) and numerous other sports political bankruptcies, in such a state of shock and have no qualified sports administrator that they do not dare to make a new bid for 2020. 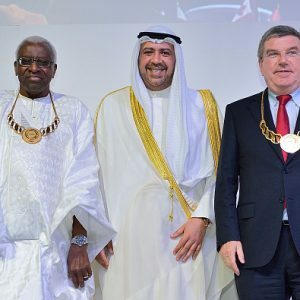 The continental distribution of mega-events in the coming years is only one argument; there are more: Those who analyse the key positions in Olympic associations will also find a movement towards new power structures. Take FIFA: Just recently, in early January, long-standing Vice President Chung Mong-Joon (South Korea), a billionaire from the Hyundai-dynasty, was replaced by 35-year-old Jordanian Prince Ali, the brother of King Abdullah II. Although it is not blessed with gushing oil wells and gas stocks like Qatar and Russia, the Jordanian royal family provides a breathtaking Olympic Performance: Princess Haya, sister of Prince Ali and second wife of the ruler of Dubai, has been the President of the International Federation for Equestrian Sports since 2006 and, in that capacity, an IOC Member. 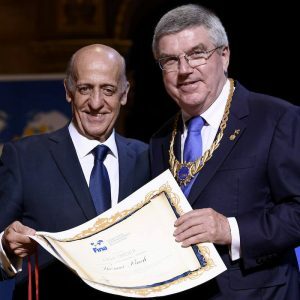 Her brother, Feisal, President of the NOC of Jordan, was also sworn in as an IOC Member a year ago in Vancouver. The most powerful Olympic family is sitting in Amman. Not far away in the microstate of Qatar, Emir Hamad and his childhood friend, Mohamed Bin Hammam, are tinkering with the most spectacular takeover of the year – maybe of the decade. 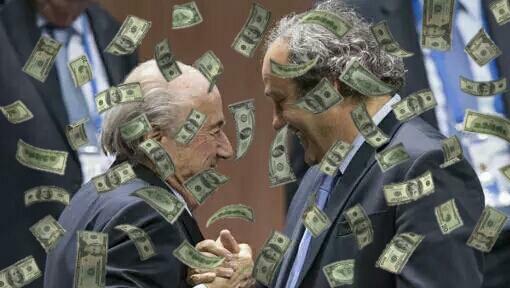 Bin Hammam will challenge the incumbent Joseph Blatter on the 1st of June at the FIFA Congress in Zurich. 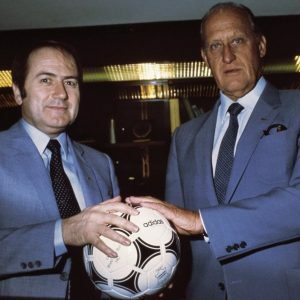 Blatter, the man whom he evidently provided votes, bought with money from the Emir in two very dirty election campaigns votes – in 1998 against Lennart Johansson (Sweden) and in 2002 against Issa Hayatou (Cameroon). Bin Hammam is said to have ensured support from 70-80 of the 208 national associations in FIFA already. One month remains to get about 30 more votes. According to all the news and gossip from the concrete desert Doha, nothing seems impossible. One rule dominates the environment: Everything is for sale. 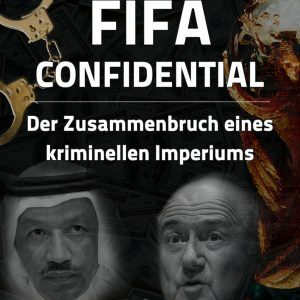 Who would know that better than Bin Hammam, who is on FIFA’s Finance Committee, and who has been controlling the development program for a decade – and on top of that also distributes the money of the Emir, especially among poor nations in Africa and Asia. Who would know that better than Vladimir Putin, the wannabe IOC-President? wer gestern abend (so wie ich) die halbstündige putin-dokumentation in der ard nicht gesehen hat und daran etwas ändern will, kann das (noch) in der mediathek tun. in den dritten programmen wird sie in den nächsten tagen wohl auch noch einige male zu sehen sein. And it was regarded as highly significant that Beckenbauer went straight to the Russian stall at the FIFA Expo for bidding countries, totally ignoring England’s presence there. Further evidence of Beckenbauer’s Russian links is the suggestion that he will become an ambassador of Russia’s state-owned oil giant Gazprom, who are backing Russia’s 2018 campaign. Herzlichen Dank für den Hinweis! Daß Beckenbauer an der Vergabe selbst beteiligt war, hatte ich bereits wieder verdrängt. For the first time, the UCI World Championships will be organized in the Middle East. The UCI Sport and Technical Director, Mr Philippe Chevallier, expressed his satisfaction about the Management Committee decision: « The management of the Qatar candidature presented an extremely interesting project which incorporated innovative solutions which allowed for the designing of a technically interesting course , we are greatly looking forward to working with them». „After we’ve had all this, in the 2020s we will bid for the Summer Olympics,“ Zhukov said. Claudia Thaler für SpOn: Beckenbauer als Gazprom-Botschafter: Lassen Sie uns nicht über Politik reden!